A cultural event dedicated to legendary French-Armenian crooner Charles Aznavour opened this year's Francophonie Festival in Washington, DC, the Armenian service of VOA News reports. Aznavour was a unique character who had the talent to embody the essence of the Francophonie in its entire depth, and diversity at the same time, said Varuzhan Nersisyan, the Armenian ambassador to France. "His heritage will remain alive in the hearts of millions of people who were inspired by his art, as well as life," the ambassador added. 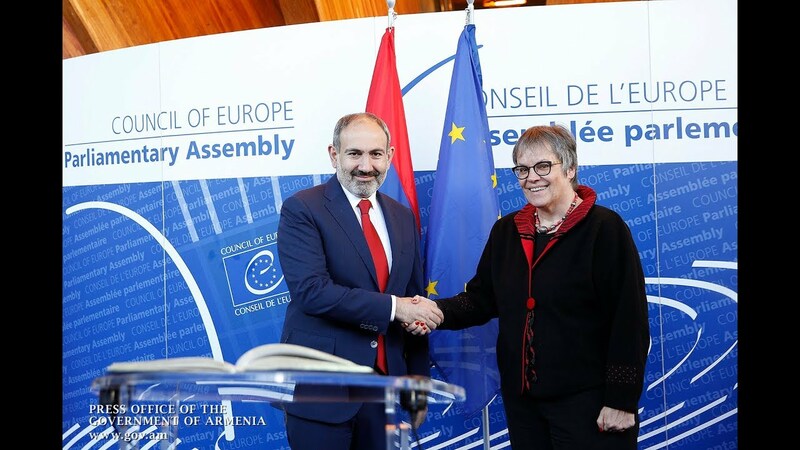 Armenia took over the presidency of the International Organization of La Francophonie in November 2017. From October 7 to 12, just days after the great singer's demise, the country hosted a week of Francophonie events (as part of the 2018 La Francophonie summit). Aznavour died in Paris on October 1, 2018, aged 94. The world-famous musician, who was honored as National Hero of Armenia for his invaluable aid to the country after the 1988 earthquake, also received a special medal from the Israeli president in his lifetime for rescuing numerous Jews in the World War II era. The Francophonie Festival is a key cultural event held annually in Washington, DC to attract numerous visitors to special museums, performances, film festivals, etc. Max Cohen, who performs Aznavour's songs, said he was personally familiar with the maestro. "I was born in Morocco and was raised on Aznavour's songs. He was an entire universe for me, and I am proud to perform his songs. I hope only that I do not perform them with errors," he added.